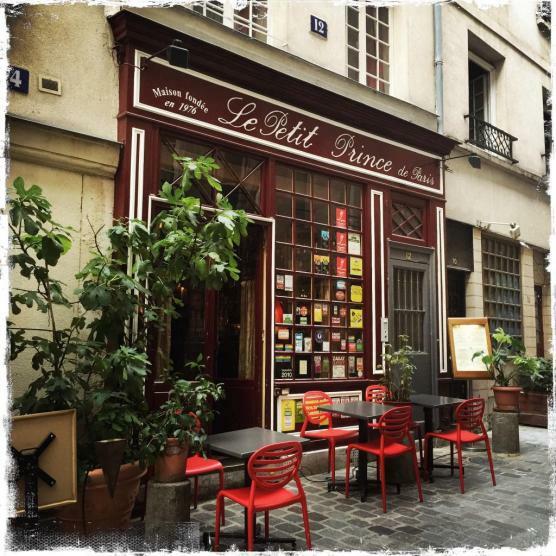 In the historic "Latin Quarter" in the fifth arrondissement, close to the Pantheon on the site of the former Gallo-Roman baths, "Le Petit Prince de Paris" founded in 1976. is the essential Parisian address. This traditional Parisian restaurant open every evening from 7:30 p.m. invites you to discover, in a warm and cozy decor and refined family ready to seduce the palates of all card, and a great value! The chef perfectly controlled kitchen where local products are magnified by flavors from here and abroad. Greedy and generous dishes are a feast for the eyes and the taste buds. Each flavor is enhanced, each perfectly balanced combination. Privatized every noon for receptions from 50 people, Le Petit Prince de Paris competes creativity to make your event a special moment. All our meats are sourced of the European Union. According to maps, nearly 90% of our products are fresh products, which strictly adhere to the rules of hygiene and food traceability. If some ingredients are found, they can be replaced according to our market. Thank you for your understanding.